If your soil is not acidic, including some peat in the backfil is enough. When pruning Japanese maples you should concider doing it in Autumn/Winter when the sap is falling as doing it in spring can make them bleed too much and it is possible to lose entire limbs. When watering acers they need it consistant, you can't afford to let the dry out and then increase the water to compensate for the lack of water. Ideally they would be best having a bit daily or get them in the soil rather than a pot. Be careful feeding acers too much as it tends to increase salt levels in the leaves which will cause scorch. Use little and often and use the organic chicken pellets or the ericaceous food. 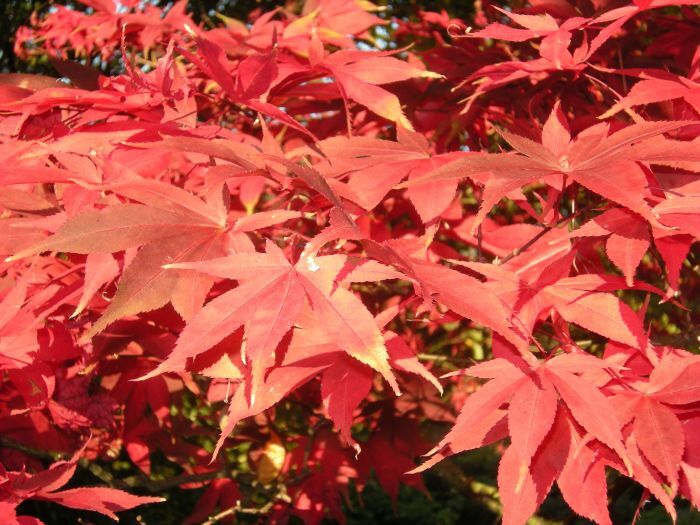 No garden is complete without the beauty of a Japanese maple. The colour in the Autumn alone is enough to warrant their use, add that to the pleasure the delicate foliage moving gently in a summer breeze, and you have perfection for 9 months of the year.